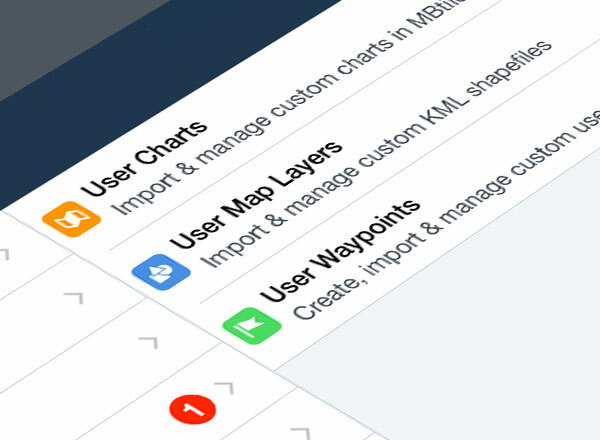 Easily import custom waypoints, charts, and map layers via hyperlink, email attachment, AirDrop, or drag-and-drop in iTunes for viewing on the map. Ideal for flight schools, search and rescue operations, pipeline patrol, aerial firefighting, and more. Content Packs give you control over the type of critical information you need to see in ForeFlight for missions like wildfire fighting, smokejumping, backcountry flying, flight training, sightseeing tours, and more. Easily build Content Packs using a variety of data types, then access your data for flight planning and flying in the familiar Maps, Airports, and Plates app views. Bring your own geo-referenced charts to ForeFlight with support for MBTiles, an open source file format developed by MapBox that allows for efficient compression and distribution of large charts. A great tool for creating your own MBtiles is MapTiler, which is free to download and allows you to quickly georeference and export raster charts. Create custom overlays with KML geographic shapefiles. KML (Keyhole Markup Language) is a file format used for geographic data that allows you to import shapes such as points, lines, and polygons into ForeFlight's map view. User Map Shapes allow you to designate specific areas on the map for your custom navigation needs; flight schools or flying clubs can use User Map Shapes to delineate training areas or route lines on the map. User Waypoints in ForeFlight allow you to save geographic locations and then view them as named point markers on the Maps view. You can create user waypoints one-by-one in the app itself, or import them in bulk using a CSV or KML file, then add them to your route plan like any other waypoint.